Summer is kicking into full gear here in Key West: mangoes are falling from the sky, humidity is creeping up, and the ocean is calling louder day by day. This newsletter brings updates from KWLS workshop alumni, former Emerging Writer Award winners, scholarship winners, and writers-in-residence. We have a few exciting updates on our end, too. KWLS Executive Director Arlo Haskell was the recipient of the 2017 Florida Book Award (Philip and Dana Zimmerman Prize for Florida Nonfiction) for The Jews of Key West: Smugglers, Cigar Makers, and Revolutionaries (1823-1969). He and his wife Ashley are also celebrating the birth of their second daughter, Zadie Rae. In addition, we are thrilled that the inaugural KWLS Young Writers Studio is now underway! Twelve lucky high school students from Key West to Key Largo are taking part in the free five-day writing program that features daily workshops with acclaimed author Victor LaValle and excursions in and around Key West. Support local & independent booksellers! Purchase any book highlighted here from Books & Books @ The Studios of Key West and get a 20% discount. Use code “KWLS19” at checkout. Jamel Brinkley (2016 KWLS Emerging Writer Award runner-up) is being hailed as a “major new voice in American fiction” (Paul Yoon). 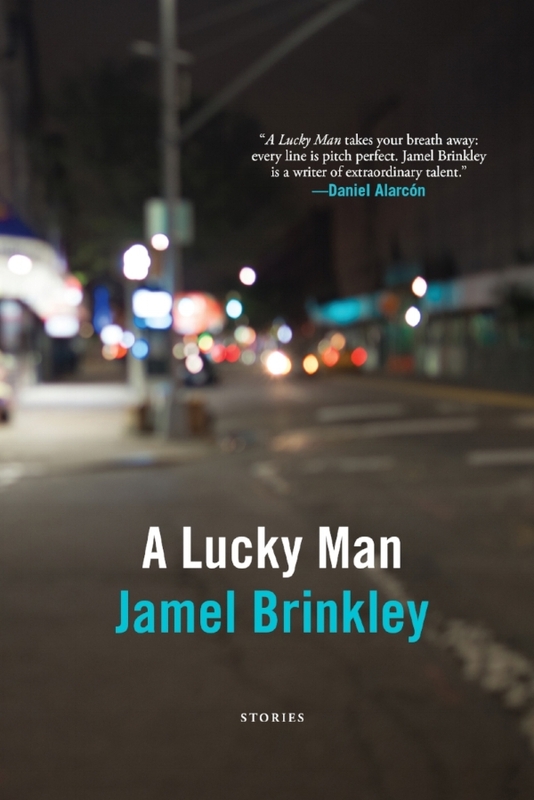 His debut collection, A Lucky Man (Graywolf, 2018), is a must-read. 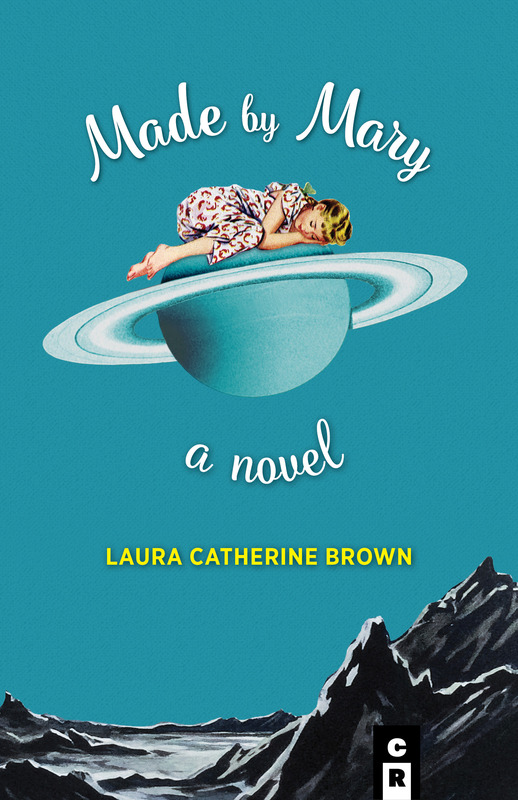 Laura Catherine Brown (2016 Antonya Nelson workshop participant) launched her second novel, Made by Mary (C&R Press, 2017). Katya Apekina (2018 Joy Williams workshop participant, scholarship winner), debut novel — The Deeper the Water the Uglier the Fish (Two Dollar Radio, 2018). Now available for pre-order. Julian Randall (2017 Rowan Ricardo Phillips workshop participant, scholarship winner) won the 2017 Cave Canem Poetry Prize (selected by Vievee Francis) for his first book of poems, Refuse, which will be released in September through University of Pittsburgh Press. Randall is also the recent recipient of a Pushcart Prize. Not merely a story of the wound but the salve, Refuse is a poetry debut that accepts that every song must end before walking confidently into the next music. Maria Anderson (2016 KWLS workshop participant) has a story forthcoming in Best American Short Stories 2018, selected by Roxane Gay. Joshua Bodwell’s (2015 KWLS Marianne Russo Award winner) personal essay “The Encyclopedia of I Don’t Know”—about his drunkard stepfather, mistakes made while he was a teenage skateboarder, and, yes, a set of encyclopedias purchased from a door-to-door salesman in the late 1980s—will appear in SLICE magazine‘s “Flight” themed issue this fall. Andrew Brilliant’s (2017 Marie Myung-Ok Lee workshop participant) story “The Man Who Thought He Loved A Woman,” will be published in the Tishman Review in July. Jen Logan Meyer’s (2018 Joy Williams workshop participant) story “The Woodpecker” is forthcoming in Alaska Quarterly Review. Emily Vizzo’s (2017 Rowan Ricardo Phillips workshop participant) chapbook Giantess will be published this summer from YesYes Books. Several of the poems within were workshopped at KWLS. Anthony DiPietro (2018 Rowan Ricardo Phillips workshop participant, scholarship winner) has published several poems and his first personal essay since attending KWLS in January (links to all publications can be found at AnthonyWriter.com. Beatriz F. Fernandez (2016 KWLS Campbell McGrath workshop participant), published her second chapbook, The Ocean Between Us (Backbone Press, 2017). It includes three poems workshopped at KWLS. Lara Lillibridge’s (2018 Daniel Menaker workshop participant) memoir, Girlish: Growing Up in a Lesbian Home, debuted in April with Skyhorse Publishing. Eva Poole-Gilson (2017 Daniel Menaker workshop participant) recently published Whiskered Wisdom: stories, poems, and photos of the cats who’ve shared the author’s life. Bruce Robinson (2018 Billy Collins workshop participant) had poems in the May issues of Panoply and South Florida Poetry Review, and has work forthcoming in Panoply, Red Earth Review, and Pangyrus, the latter a direct result of scurrilous accusations hurled at the poem (and taken to heart) in Key West this past January. Kristine Simelda (2018 Naomi Jackson workshop participant), published two pieces in the Spring 2018 issue of Interviewing the Caribbean: the short story “Go-Go,” which addresses child bullying in sports, and “Restoring Eden,” a hurricane memoir. Arida Wright’s (2018 Manuel Gonzales workshop participant) poems were recently included in the anthology Poetry in the Palm Garden. Mike Adno’s (2018 KWLS Writer-in-Residence) “The Short & Brilliant Life of Ernest Matthew Mickler” — the fascinating story of the man behind 1986’s White Trash Cooking. Sara Johnson Allen’s (2018 KWLS Marianne Russo Award winner) story “The Reader in the Square” — a finalist in SmokeLong Quarterly’s Award for flash fiction. Jess Fenn’s (2017 Marie Myung-Ok Lee workshop participant; scholarship winner) story “Athena Dreams of a Hollow Body.” It was selected by Junot Díaz for inclusion in Global Dystopias, a themed issue of the Boston Review. Elizabeth DeWolfe (2015 KWLS writer-in-residence) was awarded a scholarship from the Maine Writers and Publishers Alliance to attend the 2017 SLICE Literary Conference. George Guida (2018 Rowan Ricardo Phillips workshop participant) was a runner-up for the Foundlings Press Chapbook Contest for Zen of Pop, a collection of poems, a few of which will appear in Foundlings magazine this summer. Kelly Fordon’s (2018 Joy Williams workshop participant) novel-in-stories, Garden for the Blind, was chosen as a 2016 Michigan Notable Book, a Foreword Review Indiefab finalist, a Midwest Book Award finalist, an Eric Hoffer Award finalist, and an IPPY bronze medalist. Dantiel W. Moniz (2018 KWLS Cecelia Joyce Johnson Award winner) will be a 2018 Tin House Scholar for the summer workshop. Janet Moore (Mary Kay Zuravleff workshop participant) earned third prize in the 2018 Fish Publishing International Short Story Competition for “Beatitudes,” a short story that was first critiqued at KWLS. “Beatitudes” will appear in the 2018 FISH Anthology when it debuts in July. Joshunda Sanders (2016 workshop participant) was recently awarded a Bronx Recognizes Its Own (BRIO) award from the Bronx Council on the Arts. Ted Wheeler’s (2014 KWLS Marianne Russo Award winner) story “Little Me” was a finalist for Narrative Magazine‘s 2017 Fall Story Contest. His novel Kings of Broken Things is a finalist for the 2018 Omaha Reads program. Maija Devine (2017 Billy Collins workshop participant) has been living in Seoul for the past ten months and has written several poems and published a number articles, including “Who Could Have Saved Sewol?” in The Korea Times. Abigail Fine (2016 Kristen-Paige Madonia workshop participant) was accepted to a PhD Program in Comparative Literature at Queen Mary University of London. She will be looking at Cinderella adaptations for children, fashion, and literature as a site of teaching (dis)obedience. Ron Houchin (2016 Jane Hirshfield workshop participant) has been leading writing workshops for middle and high school students in Sparta, NC, and recently taught a workshop for the Alleghany Writers of Sparta. He was also interviewed by Eliot Parker on the YouTube show Chapters. Dan Ornstein (Mary Morris, Madeleine Blais, and Billy Collins workshop participant) recently signed a book contract with the Jewish Publication Society, an imprint of the University of Nebraska Press, for Cain v. Abel: A Jewish Courtroom Drama. Sarah Sorensen (2018 Madison Smartt Bell workshop participant, scholarship winner) will be attending Popular Culture Association/American Culture Association in the South 2018 in support of her novella-in-progress, Sunshine Highway. Terri Steel (2018 Naomi Jackson workshop participant) recently participated in a 1,200 mile-long charity bike ride from Baltimore to Key West. The annual Key2Keys ride raises awareness for young adult cancer and benefits The Ulman Cancer Foundation. Read about her journey. We love hearing what KWLS alumni are up to! Keep us up-to-date by sending your latest news to mail (at) kwls.org.